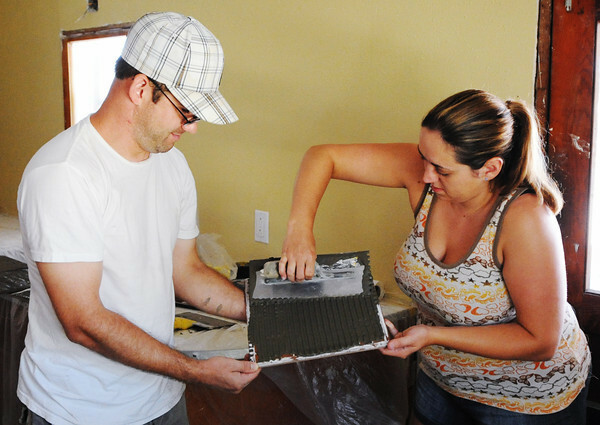 Nathan and Kelly Johnston, of Pittsburgh, Pa., help install ceramic tiles Friday morning, Aug. 10, 2012, at a tornado-damaged home in the 1200 block of Katherine in Duquesne. The newlyweds decided to spend their honeymoon working to help rebuild Joplin. They said they had been to Joplin last year while they were engaged to help with the rebuilding effort as well.